In the late eighties, Steve went from being a freelance illustrator to a full-time animator at LucasArts. "It must have been 1988 since that's the year Zak McKraken came out," Steve says. "I was hired, and laid off right away when the project I was hired for got cancelled. They brought me back to paint the Zak cover and then I rolled onto Last Crusade." 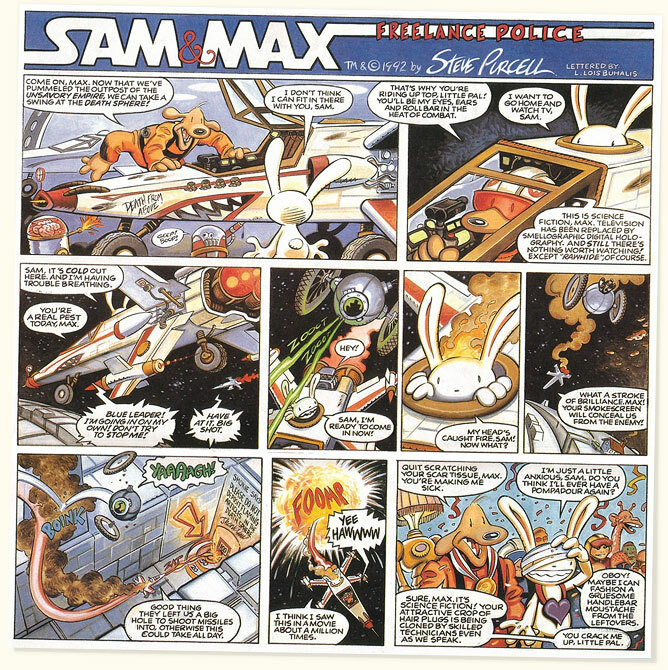 During this time, Steve continued to work on Sam & Max on the side, including three additional comic books. He also leant his painting talents to LucasArts, creating cover art for game boxes including Maniac Mansion and the first two Monkey Island games. Above: Steve Purcell, soon after joining LucasArts ("LEC"). From left to right: A 1991 convention piece; posing with the Maniac Mansion back cover; working on Beast from the Cereal Aisle. So how did Sam & Max end up as characters in one of LEC's games? 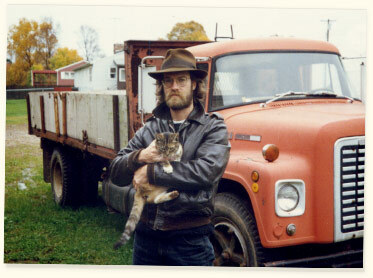 "I was working on the "On the Road" comic when I first started there. People in the company got to know the characters and I made little animated walk and talk cycles of Sam & Max and an office background for Ron Gilbert's new SCUMM programmers (called Scummlets) to practice with." Then came the Adventurer, a quarterly newsletter LucasArts started to let their customers know about upcoming games and company news. The powers-that-be approached Steve about contributing a comic to the publication and Steve agreed, on the condition that they could be Sam & Max comics. 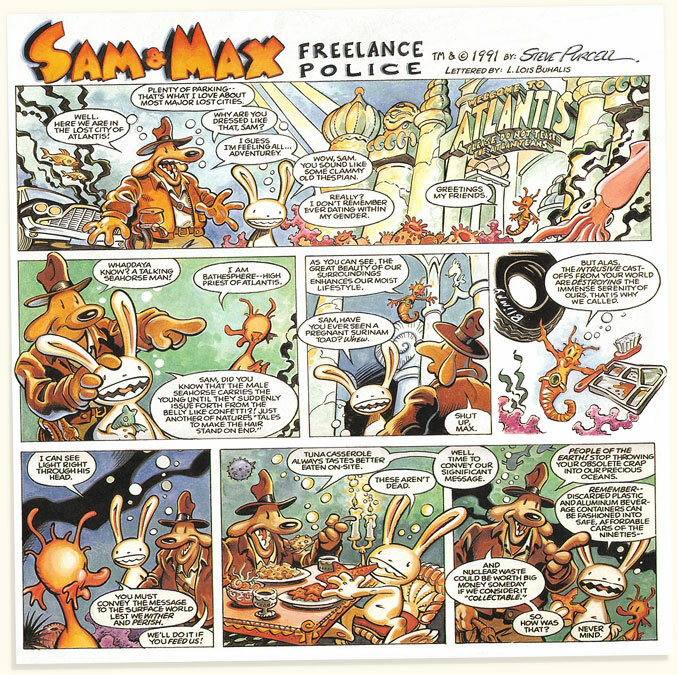 The rights to Sam & Max remained with Steve, but the strips born out of this arrangement would forever link Sam & Max to LucasArts and the games they released in the 1990s--considered by many the "golden era" of adventure games. Above: A few Sam & Max strips for LucasArts' "Adventurer" magazine. The fan reaction was good, and the relationship evolved further in 1993 when LucasArts offered to make a game out of the characters. Sam & Max Hit the Road was inspired by "On the Road," which featured a road trip through appallingly gaudy Americana and the duo's first bout of highway surfing. The game was co-designed by Steve, his future wife Collette Michaud, Mike Stemmle, and Sean Clark, and was QA tested by some upstart named Dan Connors. 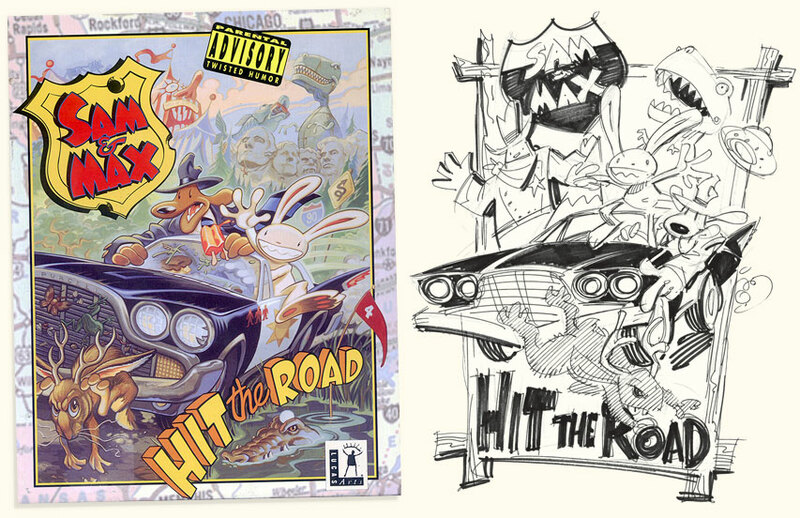 Above: The box art for Sam & Max Hit the Road, along with a slightly different treatment which never made it off the page. In 1993, smack dab in the middle of Hit the Road production, Steve and Collette got married. Sam & Max made a special appearance at the ceremony. 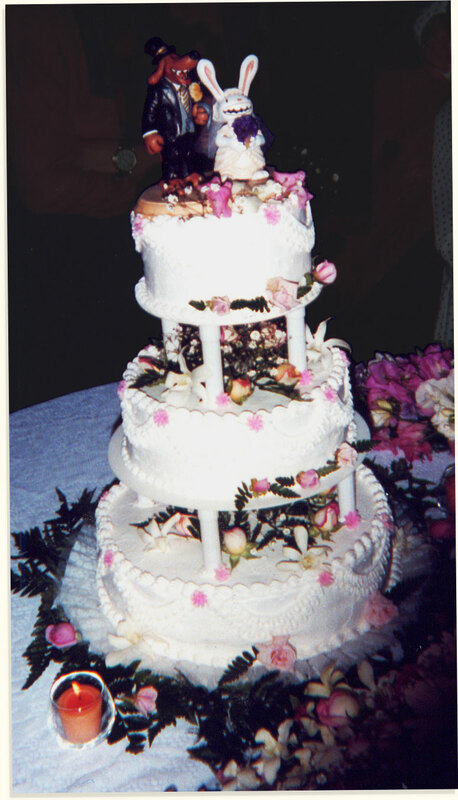 Above: Steve and Collette's wedding cake. At least now we know which way Max swings. Turn the page for a new interview with Steve Purcell and Sam & Max Hit the Road co-designer Mike Stemmle. Telltale Games - © 2013 Telltale, Incorporated. All rights reserved.